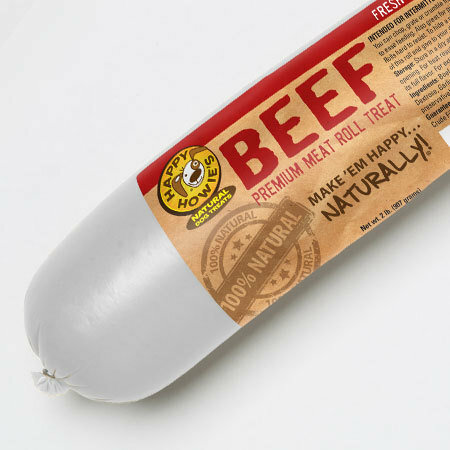 Happy Howie’s Premium Beef Rolls are love at first bite! Our rolls are the only high-value training treat with fewer ingredients that doesn’t crumble in your hands. Made in the USA with all-natural beef, these rolls cut up easily into smaller pieces that are an excellent way to hide pills, use as a food topper or simply to reward your dog! Find out why our deli-style Premium Beef Rolls are the training treat preferred by expert dog trainers throughout the country.